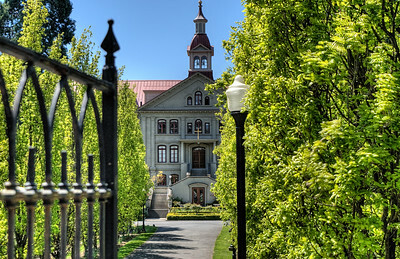 St Ann's Academy is of a typical architecture employed for the design and building of convent's in Quebec and the west portion of Canada during the late 1800's and early 1900's. 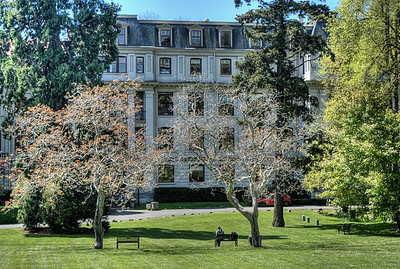 The original building was constructed in 1871, and additions were added in 1909 and 1910. The attached chapel was originally constructed in 1858 as the first Roman Catholic cathedral in Victoria, and was subsequently moved and attached to the main structure of the Academy in 1886. 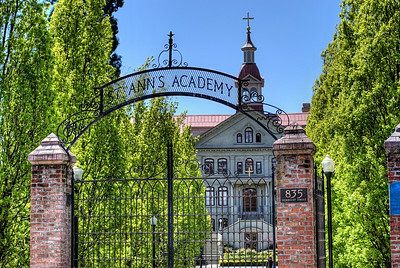 The academy itself sits on a 6.5 acre garden. 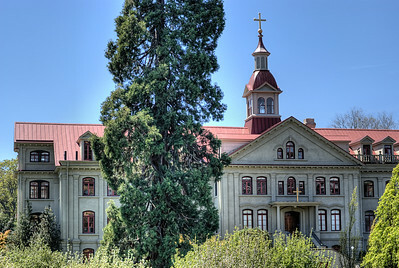 Completed in 1871, the facility was the largest and best-equipped educational institution in the region. Their original focus on health care resulted in the creation of Saint Joseph's hospital across the street. We have a few images of this hospital to share at a later time. 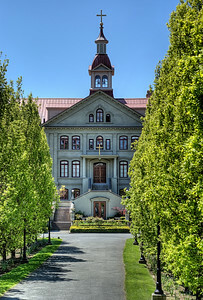 By 1971, the maintenance and upkeep of the facility became too large a financial burden for the ability of the sisters to manage, and the academy was then sold to the Provincial Capital Commission. The hospital across the street was donated to the people of Victoria. The sisters continue their good work today from other locations in the area. 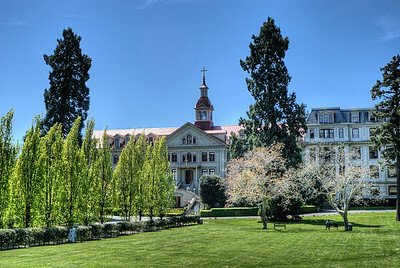 St Ann's Academy - Victoria BC Canada Visit our blog "The Toad And The Nun" for the story behind the photo.